No we really know more. 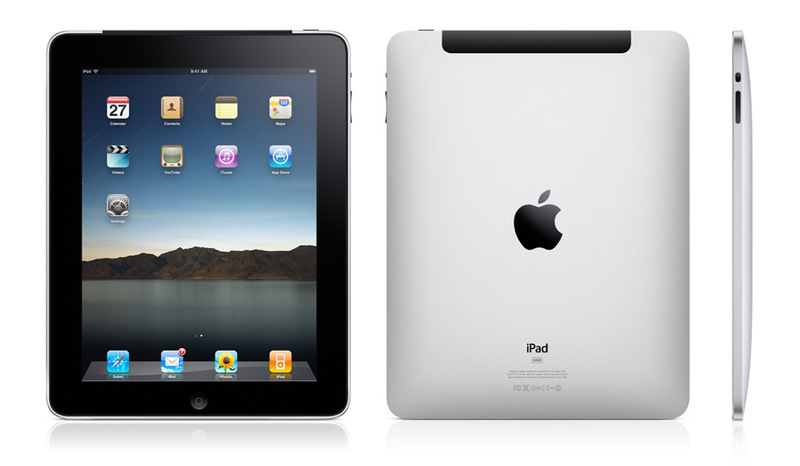 What is the iPad for, which is the name that finally has been chosen for Apple’s slate mobile device? Has it potential for enterprise/corporate use? Yes, but first some new apps need to be developed. Nice: „Nearly all“ 140,000 current iPhone apps will run on the iPad – great. The iPad has A-GPS and Google maps, given that existing iPhone apps run on it the iPad could become an amazing navigator! Has the launch been overwhelming? No. Is it a great product? Yes. Will it change “the media world”? Yes, but Apple is not alone. The change is coming. From my talk with a big German publisher, they are preparing and watching, experimenting. Stay tuned. Of course there are many questions left open, but hey, tomorrow will be another day: Did the demo machines already run on iPhone OS 4.0? If not (U: we hear it was version 3.2), was that the reason there was no multitasking to be seen? As Evernote is so happy about the new slate (and tablet PCs in general): Where is digital ink? Can I write on the screen and would ink get converted? That is the opportunity for HP with its slate and Lenovo (who is working on an eco system and not just the hardware, as VP Dion Weisler told me in advance of the Apple launch) with the hybrid IdeaPad U1. European launch partners on the media side? Most important for European customers: Apart of the WLAN 802.11a/b/g/n model (availability within 60 days) there will be a Wi-Fi+3G model with HSDPA and GSM/EDGE. Not sure if Apple will allow apps to use it as a phone via Bluetooth headset. 3G results in 130 US-$ higher price and 50 gramm more of weight: 730g instead of 680g. Availability within 90 days. Other main differentiator Storage: 16, 32 or 64 GB Flash (499 to 699 US-$). All models are powered by a 1 GHz “Apple A4” ARM based CPU. Screen 9.7 inch IPS with Backlit, glossy, 1024-by-768-pixel resolution at 132 pixels per inch (ppi) – and H.264 video up to 720p at 30 frames/s. No Flash (which is good news, I think – one battery drainer less). 1.6 pounds (730 g) Wi-Fi + 3G modelConnectivity: WLAN 802.11n, Bluetooth 2.1, dock connector, 3.5 mm stereo headphone jack, SIM card (3G model), several connectors are available as accessoires, e.g. a Dock Connector to VGA adapter for 1024×768 which is a typical resolution for beamersBattery life: Apple claims “up to 10 hours, 1 month standby“ for the 25 WHr Lithium-Polymer battery – of course it is integrated.Synchronization via USB, with Mac or Windows PC and iTunes 9.0. BTW, don’t use it on the street now, in there winter days: Operating temperatures are 0° to 35° C (32°-95° F). Berlin, -18° C (-.4° F) at the moment. Ahem, Microsoft, the Courier is due when? eBook only? More pressure for you. And hard times for pure ebook makers to come. 499 for a more or less complete PC experience while e.g. Plastic Logic plans to charge up to 800 Dollar for an 8 GB device. Or compare that with the grey Kindle DX no apps yet experience for 500 $. I get this article after choosing category „Lenovo“ on the righthand side. There is yet no seperate Lenovo article. Expect one when we see the upcoming next Lenovo Tablet which should arrive this quarter. The launch of the U1 is planned for the second half of this year. Susan " iPad Best Buy "